How differently would you reform Malaysia? 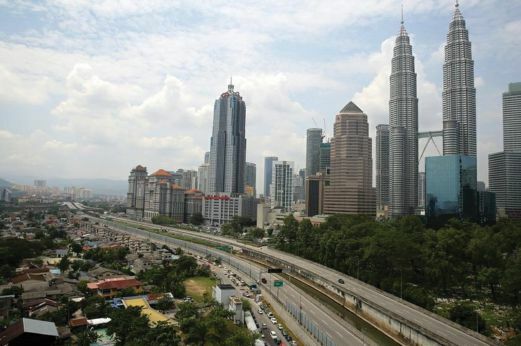 Malaysia, over the past four decades, has implemented reforms that have helped it grow and expand. It is fast-developing and on its way to achieving high-income nation status. REFORM (or transformation, as in today’s buzzword) means different things to different people. To me, it has little to do with public persona or the toppling of government leaders, but is very much about horizontal domestic policy and institutional changes, which encompass political, social and economic norms. Vertical changes, however, are usually about policy improvements with zero or minimal legislative involvement. Given the fact that structural changes will undoubtedly disrupt the economy in a big way, there are some of us who will be evasive and refuse to move away from our comfort zones. That said, here is a thought-provoking question: if this isn’t the reform you are asking for, how differently would you want it to be? The single most impactful policy that has evidently changed Malaysia’s growth trajectory is the New Economic Policy (NEP). Despite it being vague in its objective, implementation and evaluation, NEP has always been the cornerstone of Malaysia’s social and economic policies since it was first introduced in 1971. Many political leaders have manipulated the imperfections of the policy for personal gains and everything else, but national interest. There are many who openly blame NEP for crowding out private investments in the country. Nonetheless, there is always a shelf-life to man-made laws, and NEP is, by all means, no exception. Fast forward four decades later, Malaysia is now a totally different country than what it once was, and the two-pronged NEP must be refined to adapt to an ever-changing world. The first prong (poverty reduction) has morphed into social safety nets and wealth-creation-related initiatives. As evident under the Trans-Pacific Partnership (TPP), the second prong (interethnic redistribution) is now more granular to reflect four critical areas, namely affirmative measures for Bumiputera; the special position of Malays and natives of Sabah and Sarawak; culture, customs and religion of the Bumiputera community; and Bumiputera preferences in the economy (mainly in the services industry). The inclusion of these four areas in TPP is a massive victory for the government, as they inject elements of meritocracy without sacrificing the special position of Malays and natives of Sabah and Sarawak. The key difference here is not about the coverage of Bumiputera-related policies, but the inclusion of performance-based conditions and strict transparency rules. Bumiputera goods and services suppliers may continue to participate in federal contracts for as long as they fall below the threshold values and compete on an equal footing with others. Now, then, how differently would you reform your Bumiputera-related policies? Malaysia is a latecomer in institutionalising a competition policy because of heavy government involvement in the economy since the formation of Petronas in 1974. Over the years, a number of large government-linked companies (GLCs), such as Proton and Khazanah Nasional, have needed greater space to prosper, and this has caused further delays to the introduction of an antitrust law. Despite formalising the 10-year GLC Transformation Programme and, eventually, the Competition Act 2010 (CA2010), there is no specific legislation to govern GLCs until today. It is important to recognise that GLCs carry nation-building objectives and, by virtue of such, they represent an extension of public policy, which requires greater public scrutiny. Soon enough, two of Malaysia’s largest corporations, namely Petronas and Khazanah Nasional, will be required to conform to disciplines covering non-discriminatory treatment and non-commercial assistance under TPP. Such disciplines will enable them to bypass any interventionism beyond the agreed entity-specific thresholds. They are required to source from cost-efficient suppliers and their annual procurement operations will be placed under stricter transparency rules. Despite all that, TPP allows numerous exclusions and exemptions for GLCs to provide safeguards to their socio-economic developmental roles, in particular, for programmes involving Bumiputera, small- and medium-sized enterprises (SMEs), and enterprises from Sabah and Sarawak. These reforms simply mean that GLCs can no longer exploit their dominant position and distort prices offered to consumers. CA2010 will be amended to reflect high international standards. So, how differently would you reform your GLCs and competition law? Malaysia’s labour rights will soon undergo a major reform, whereby the government will amend laws to conform to the high labour standards as set out in the International Labour Organisation’s Declaration on Fundamental Principles and Rights at Work and its Follow-Up (1998). Workers in the country will then have freedom of association and the right to collective bargaining (including workers’ right to strike). These rights may not mean much to open economies, such as the United States and Australia, but they will structurally change the landscape of Malaysia’s labour market that has been idle since the 1960s. And yet, how differently would you reform your labour market and uphold greater social justice? Of course, there is no one-size-fits-all policy to address behind-the-border reforms. Naysayers may argue for a more organic (bottom-up) structural improvement, but it may come at either a much greater cost or, most likely, a much lesser impact for reform. Ideas and policies affect our live, but not the glorification of specific personalities. Why, then, should we allow the naysayers to continue gaining public support and profit from the inefficiencies of the government? How much would it cost to pursue higher education in Malaysia? Greenland 21 for Iskandar Malaysia? Where is the new Malaysia?